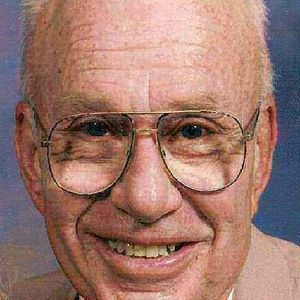 Mr. John Joseph Hines, 84, of Aiken, passed away Tuesday, April 17, 2012, at Aiken Regional Medical Center. A Requiem Mass for Mr. Hines will be at 10:30 AM on Friday, April 20, 2012, at St. Mary Help of Christians Catholic Church, burial will follow at Southlawn Cemetery. The family will receive friends on Thursday evening from 6-8 PM at George Funeral Home & Cremation Center, 211 Park Aven. SW, Aiken. Mr. Hines was born in Johnstown, PA, a son of the late Leo Mullin and Cleo Karcher Hines. John was a 1950 graduate of the University of Pittsburg, earning a degree in Business. He was a member and past president of A.I.I.E. while living in New Jersey. He enjoyed golfing, swimming, traveling and gardening. John was a beloved husband, father, grandfather, brother and friend. Survivors include: his wife, Mrs. Judith Adams Hines of the home; his five children, Timothy Hines of Malden, Mass., Liz Richard (Scott) of Naples, Fla., Gretchen McClelland of Aiken, Kevin Hines (Kimberly) of Apex, NC and Christopher Hines (Bri) of Maryland; a sister, Margaret Brown (Gerry) and a brother, Owen Hines (Lucille) both of Johnstown, PA; grandchildren, Dana Surrena, Thomas Richard, Nicholas Richard, Allison Richard, Jonathan McClelland, Christina McClelland, Jennifer Hines and Shauna Hines; great-grandchildren. Zachary Surrena and Mackenzie Perrine. Kevin, Kim, Jennifer and Shauna and the entire Hines family, please accept my sincere condolences on your loss. I'm sorry that I can't be with you physically but you know that I am spiritually. Peace!